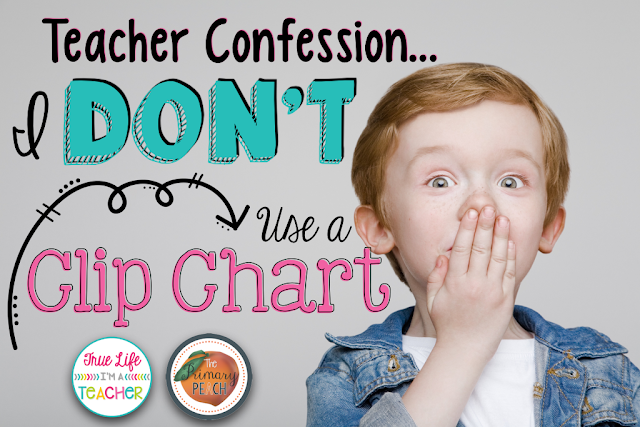 The Primary Peach: Confession - I Don't Use a Clip Chart! Hey Friends! It's Theresa from True Life I'm a Teacher! 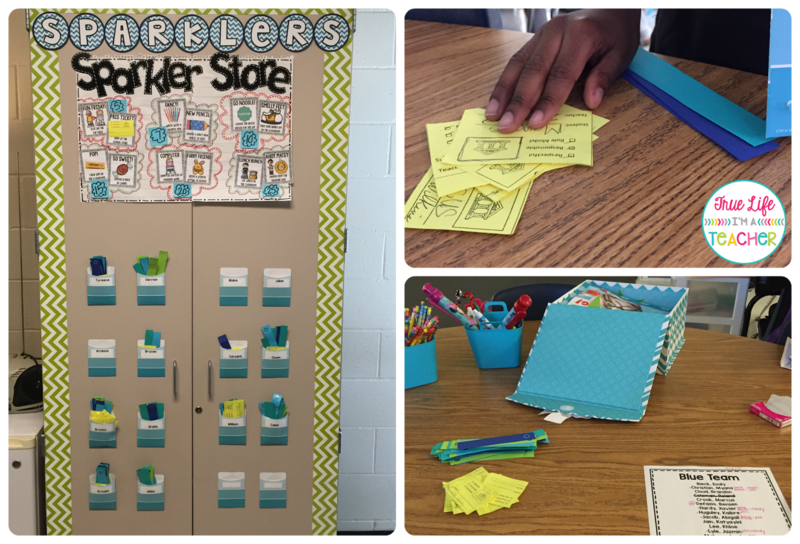 Hopefully, you've seen some absolutely amazing classrooms this month! I know I was pinning ideas like crazy for next year! 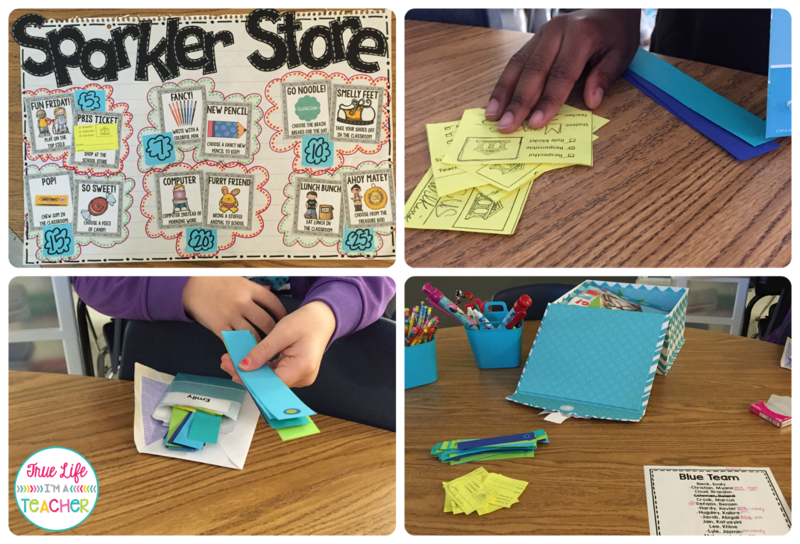 You can see my classroom tour here, and for other great ideas, check out our Pinterest board! Today, I want to talk to you about my clip chart...or lack thereof. I don't use a clip chart. There, I said. In fact, I don't like clip charts - eek! You're still reading! Yay! I didn't scare you off! As I mentioned before, it's not that I have anything against clip charts, it just didn't work for me! I had a hard time deciding what constituted a "clip down" - what might be a clip down for one student, might not be for another student. Also, I felt bad having students take the "walk of shame" to the clip chart to clip down. Yes, I realize that students can "clip up," but usually I was telling several students at a time they could clip up, and then there was a cluster of students waiting to clip up, where inevitably someone got impatient, would push, resulting in a clip down. Fortunately for me, I didn't stick with a clip chart for long. What did I use instead? 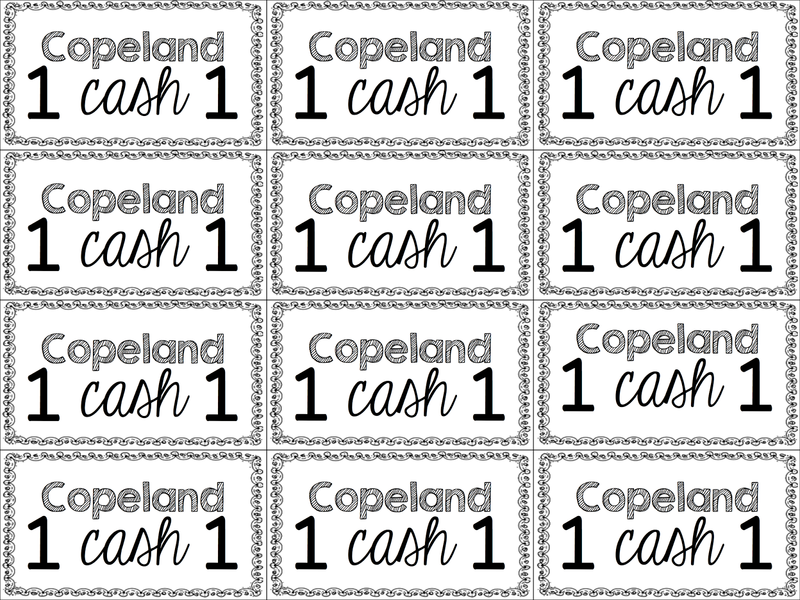 Cash...well not real cash...Copeland Cash (my last name is Copeland). Instead of trying to manage positive and negative behaviors (clip up/clip down), I focus on what I wanted to focus on...the great choices my students were making all along. 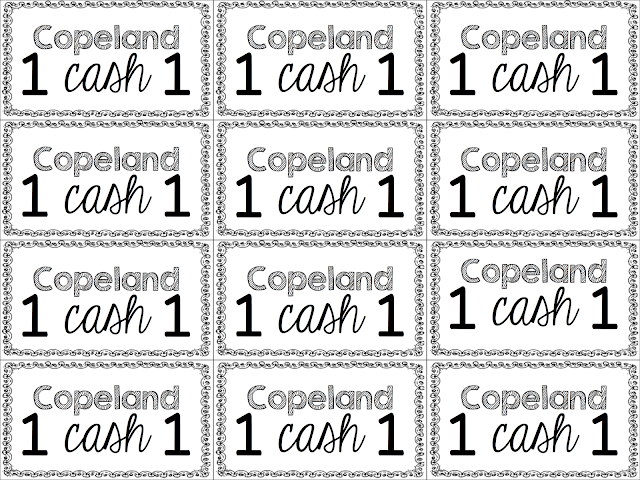 When I see something that warrants Copeland Cash, I can hand out as much or as little as I want. 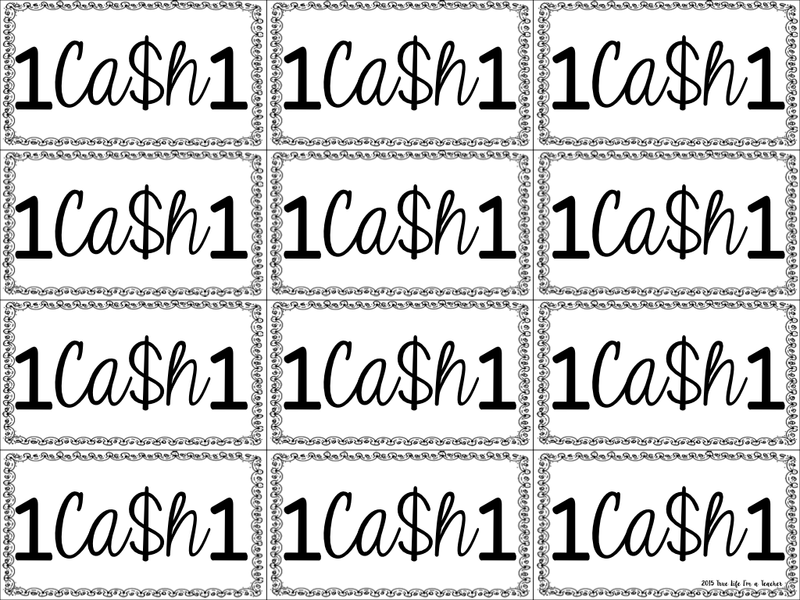 I get to control when, how much, and what students can exchange their cash for. Hand out one of these babies, and suddenly I've got 20 something 7 and 8 year olds doing whatever it is I've asked. 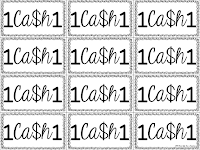 This year, because I'm co-teaching, we're using the same concept as Copeland Cash, but it's just colored card stock cut into strips that we call "Sparklers." Which brings me to our class store, called the "Sparkler Store" previously just called our class store. 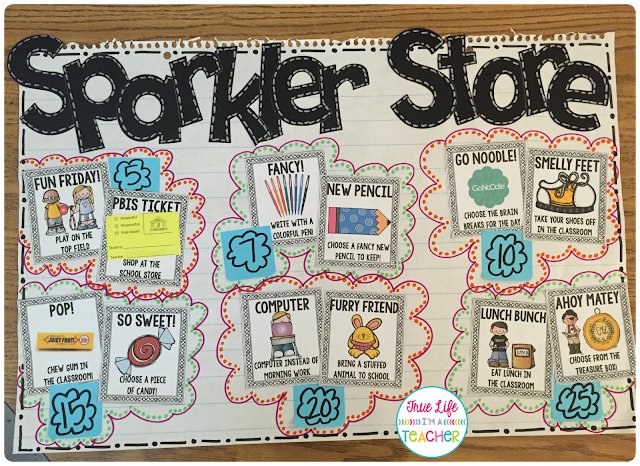 Basically we have a "menu" of items students can purchase by using their Sparklers/Cash/whatever. We chose things that were either free or inexpensive to place in our store (which doesn't actually take up any space in our room). This fits in perfectly to being a PBIS (positive behavior intervention and support, of which I'm not really a fan, but that's neither here nor there) and so we also have PBIS tickets that any adult in the school can give to students seen following rules and expectations. We use these to our advantage too - 1 PBIS ticket = 5 Sparklers...that's right, our kiddos are beginning to learn the basics of counting money, counting by 5s, and fair exchanges. We started the year storing Sparklers like this...hated it, and changed it so that every student has an envelope at their desk to keep Sparklers and PBIS tickets. We chose what we wanted to have to manage as items to place in the Sparkler Store. 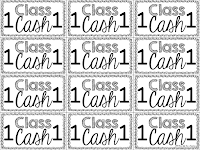 In the past, I've had lots more choices in the class store, but there were some things that I HATED managing, and some things that just weren't popular. You can see the differences below. That's the best part, only choose what you want to manage, or ask for student input! 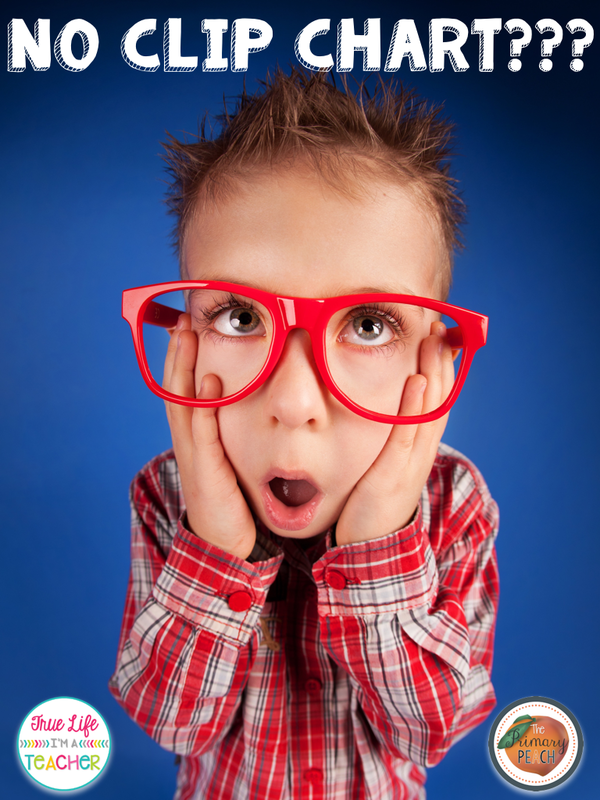 Are you thinking of ditching the clip chart? Or maybe just looking for something different to use with your students? 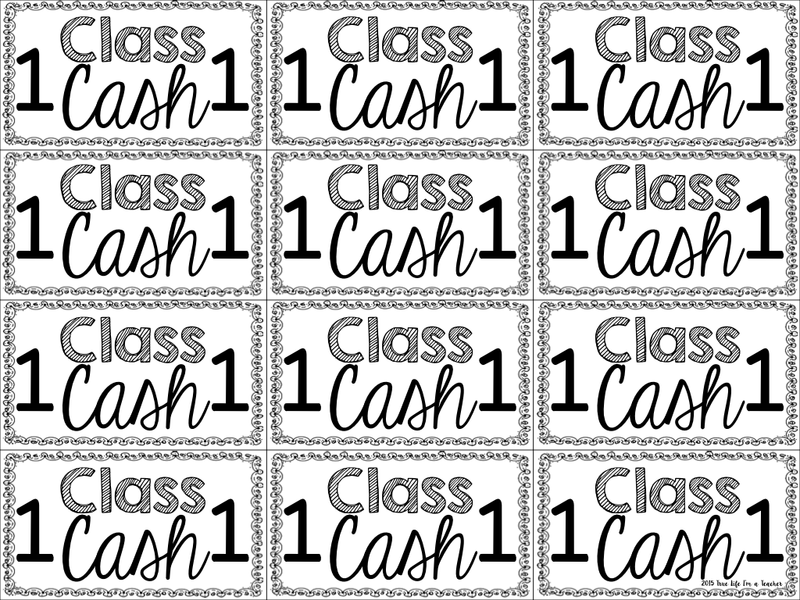 Get started with this FREEBIE "Class Cash" printable. I love your Sparkler Store ideas! Thanks for sharing. I'm not a big fan of the clip chart either. I don't really like how a student's bad behavior is posted for everyone to notice. Your system is more discreet- and more fun!